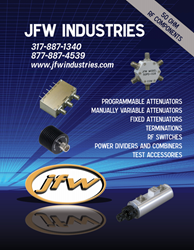 JFW offers a large variety of 50 Ohm RF components capable of operating over wide frequency ranges. 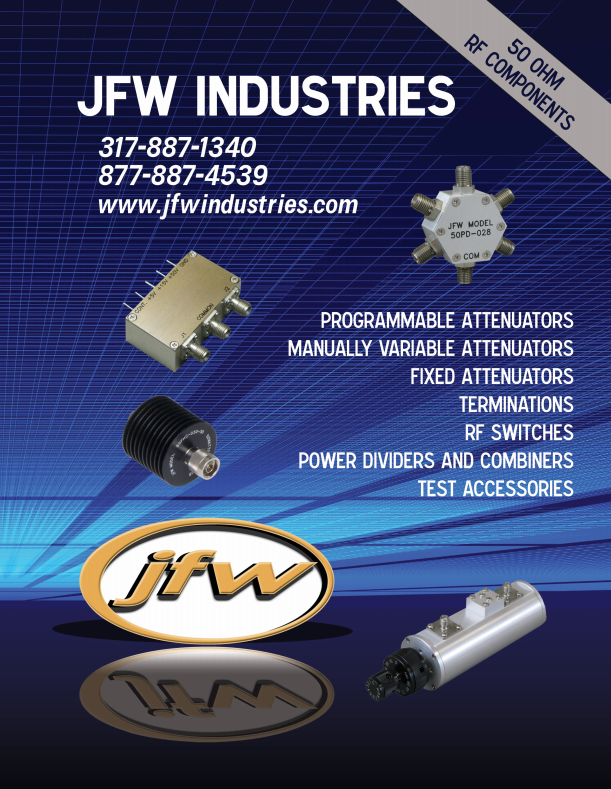 Some of the many components available include programmable, manually variable, and fixed attenuators, terminations, RF switches, power dividers and combiners, and test accessories. For more information the different features and specifications of these 50 Ohm components, download the brochure.